Thanks to a nice tip off! Besides, the ZiiSound, D100, D200 wireless speakers, we now know that Creative has launched another new wireless speaker! 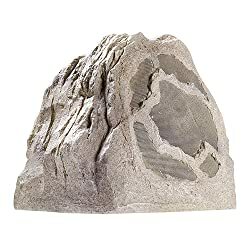 This time, its a solid rock outdoor speaker. Its a rock alright! So that you can place it outdoors in your garden and listen to your favorite songs wirelessly. The speaker works with Sound Blaster Wireless transmitters* simply switch on and start streaming music from any Sound Blaster Wireless-enabled PC or Mac. meh! these are tried and tested by others long long time ago..exactly speaking , in the stone age.